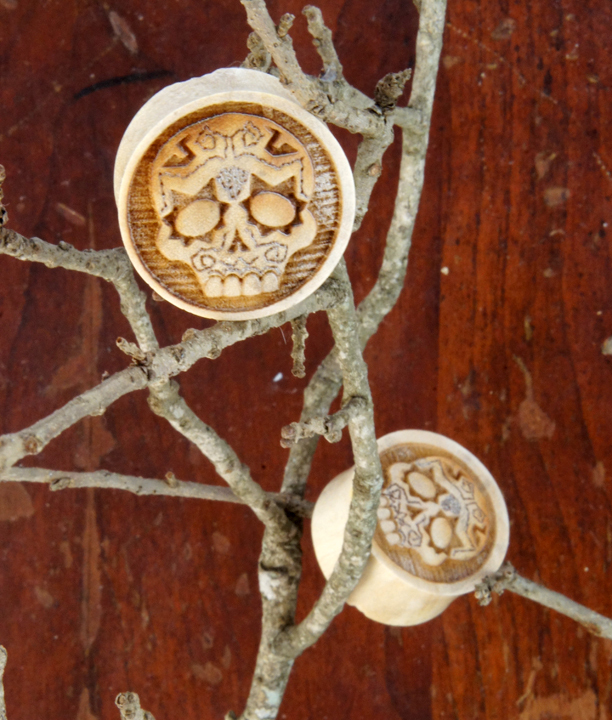 Characteristic of the calavera used on the Mexican festival Dia de Muertos or Day of the Dead, this pair of ear plug gauges feature a sugar skull relief. Crafted from lightweight crocodile wood these gauged earrings are festive and fun and sure to be a great accessory for All Souls Day. 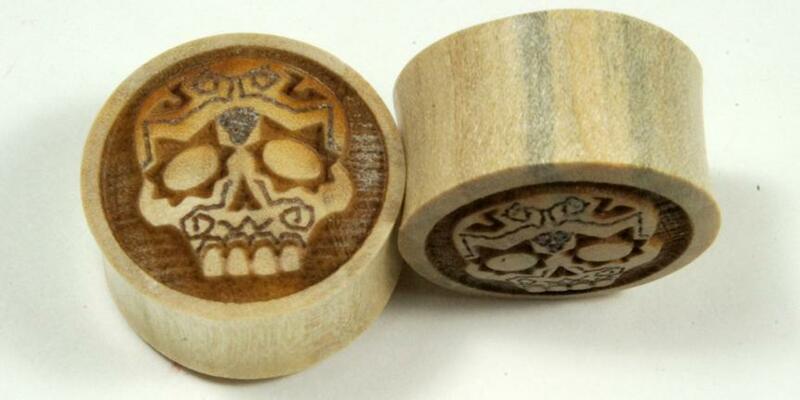 All of our ear gauges are sold in pairs. If you don't see your gauge size listed please feel free to contact us or check back later since we're constantly restocking or adding new sizes and styles to our line.